When Tom Dolby opened his eponymous café, Tom’s Cakes, earlier this year, he not only delighted local residents who had been queuing for his cakes and biscuits at nearby farmers’ markets for fifteen years, he also gave a derelict building a new lease of life. 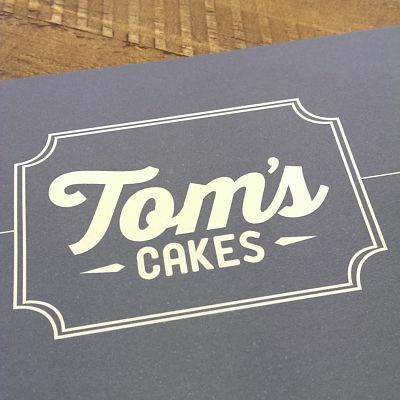 Situated in the centre of the riverside market town of St Ives in Cambridgeshire, Tom runs his café and cake shop from the site of an old tolling house which, having laid empty for eight years, was registered on the ‘buildings at risk’ register. But Tom has worked hard and restored the property back to its former status as a pillar of the community. The counter is laden with unusually flavoured cakes and biscuits that are testament to the skill and imagination that has kept the bakery and patisserie thriving since the business launched. Summer lavender sponge (made with lavender handpicked from Tom’s Mum’s garden), orange and poppy seed, and chocolate and beetroot cakes, a range of handmade biscotti, shortbread fingers, and white chocolate and pecan cookies are all baked using free-range eggs, plus fruits and vegetables from neighbouring farms in Chatteris and Bluntisham. Pair these treats with one of the carefully-selected beverages on offer, including coffee by Monmouth’s, a small London-based roastery, which prides itself on its single farm suppliers, before enjoying a stroll along the Great Ouse river on a sunny morning.